Be it the iconic brand or its lauded creative director, both have shared an intense love affair with Japan. The former has forged collaborative bonds with local art and design heroes — Takashi Murakami, Yayoi Kusama, Rei Kawakubo and Hiroshi Fujiwara, leading to immensely successful runs at the retail box office. The latter has been an avid and passionate traveller to the country, clocking in memories and inspirations across these journeys that have spanned over 20 years. 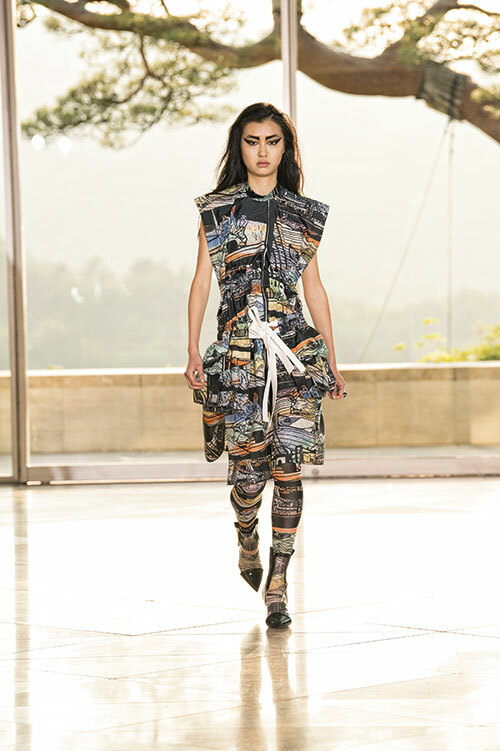 And this year, Louis Vuitton’s Cruise 2018 collection was a celebration of all those references collated by Nicolas Ghesquière; an exultant homage to a region that has been known to revere its past just as much as it continues to gain ground on its future. The setting for the show was as surreal as it was apt. An hour or so from Kyoto (in itself an emblem of history), stands the Miho Museum, designed by I. M. Pei, the very same architect responsible for the Louvre’s multifaceted pyramid. Miho seamlessly bridges the gap between old and new, surrounded by aged landscapes and enveloped by nature, while simultaneously projecting an aura of modernity, defined by cutting-edge glass, steel and a commanding aluminium tunnel that slices through a mountain on a suspended bridge, making for a pathway that ingeniously fuses natural elements with path-breaking technology. Kyoto also played the role of lush backdrop for a specially commissioned photo shoot. Vivid greens and raw bamboo barks championed Japan’s au naturel magnetism, harking back to the lay of the land, as it has stood since time immemorial. Dark, dark brows and exaggeratedly thick cat-eye flicks created a perfect foil for silhouettes that simply slayed with attitude. Oversized white shirts and skinny pants seem ordinary enough, but pair them with sharp tuxedo jackets, trapeze skirts, obi belts, jersey and leather armoured bombers, voluminous but shapely blazers, lace slips with square hems, rounded shoulder lines and some seriously renegade flame-slicked boots and what you get is an absolute concoction of futuristic fashion, undoubtedly contemporary in its engineering, but clearly stemming from a heritage of cultural references. 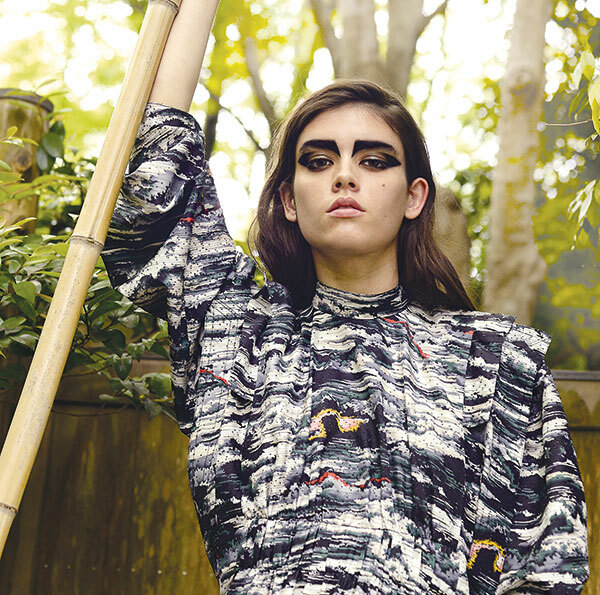 Traditional fisherman prints form the base for many separates as do patterns from 1970s Japanese filmography. The samurai dress code reinvents itself through interwoven sweaters while the opulent gold lace gowns pay tribute to costumes from the Noh theatre. Japanese artist Hokusai’s The Great Wave flows into motifs as do components from Keikogi martial arts and Kurosawa movies. Figurative engravings, nature-inspired etchings, Daruma dolls — all intrinsic in their Japanese make-up — find their way through as well, moulded into jerseys, denims, silks, furs, jacquards, flannel wools and leathers. It sounds like a hedonistic mishmash but the overall effects are nothing short of spellbinding, besides being firmly on the money. Prints swivel across storm and patchwork waves, cloud formations, visuals like forests, mountains and ocean, bamboo flowers, samurai and leopard graphics and a most recognisable Japanese original — kabuki masks. This last influence is liberally visible on clothing separates by way of heavily sequinned oversized T-shirt dresses (sure-shot winners) and a range of bags and small accessories. 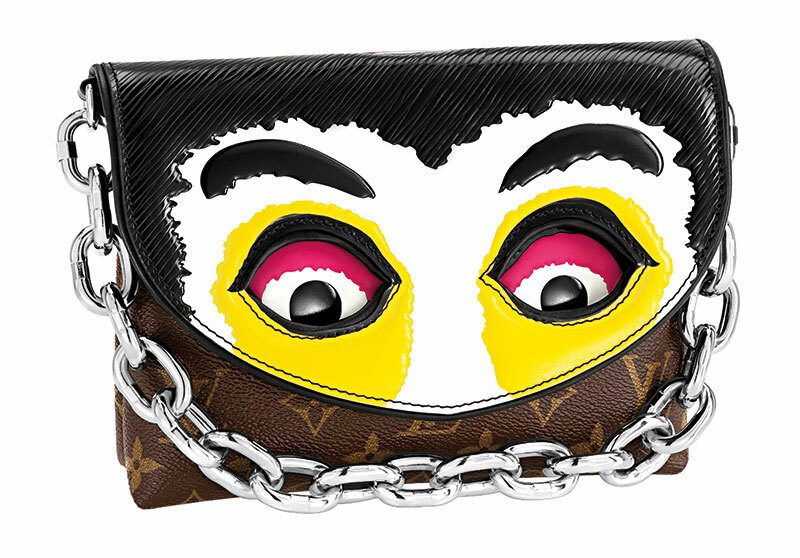 Local fashion hero Kansai Yamamoto (credited with many a concert costume for rock legend David Bowie) has made his debut with Vuitton via these dramatic kabuki pieces; standouts in an already stimulating collection. 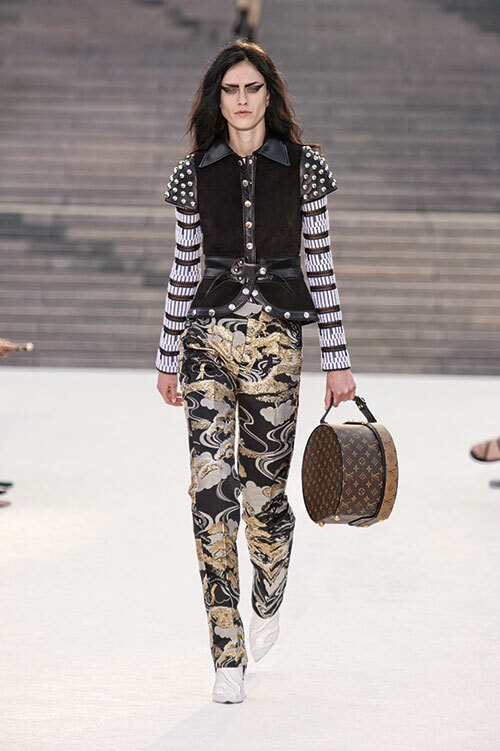 While this could be one of the strongest showcases in terms of ready-to-wear that Louis Vuitton has produced in recent years (it has been touted as Ghesquière’s biggest show for the brand in terms of looks), the leather goods tell a scintillating story of their own. A variety of new shapes have been introduced this year, including a utilitarian Bento Box as well as a small hatbox that plays the role of an adorable little sibling to its older and much-loved counterpart that until now was a design limited to the luggage range. The boots, especially the Fireball range, bring the entire collection together, with a bold and brazen vibe, and the adrenaline is further pumped with powerhouse jewels, in particular, the Kabuki Necklace, along with a selection of Tentacool, Studdy and Leogram rings. All together, they are a homage worthy of the land’s legacy. With the global market taking a hit as far as luxury retail is concerned, it’s heartening to know that a bestseller awaits to close the year on a high note. What’s not to love about these Kansai Yamamoto collaborative accessories! The new Petite Malle showcases Vuitton’s signature monogram with an assortment of vivid stickers, making it an ideal brunch or cocktail piece. 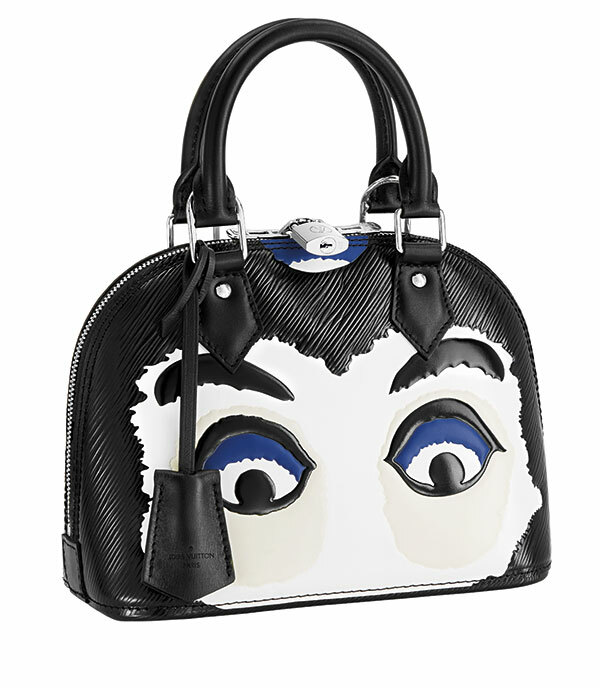 This printed and embossed Epi leather Alma’s got the look with ebony and indigo eyes that lend themselves to a strong statement and also suggest a sense of light-heartedness that accentuates this classic shape. 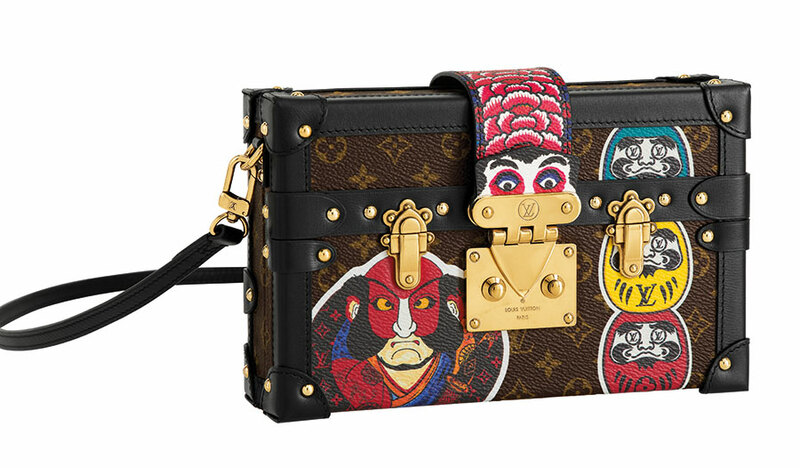 Kabuki masks come alive on the delightful little Pochette that revels in its craft and unique appeal. The solid chain link strap adds a hard edge that is complementary to the tough motif and bold colour palette. Add this vivid charm to any bag or use it as a key fob; either way, it’s sure to initiate some curious envy. 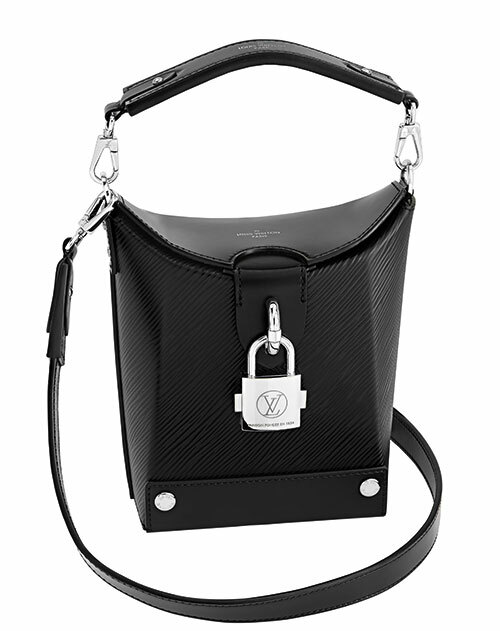 The top bit slides to reveal a second disc of the house monogram while the metal attachment also displays a Vuitton signature. 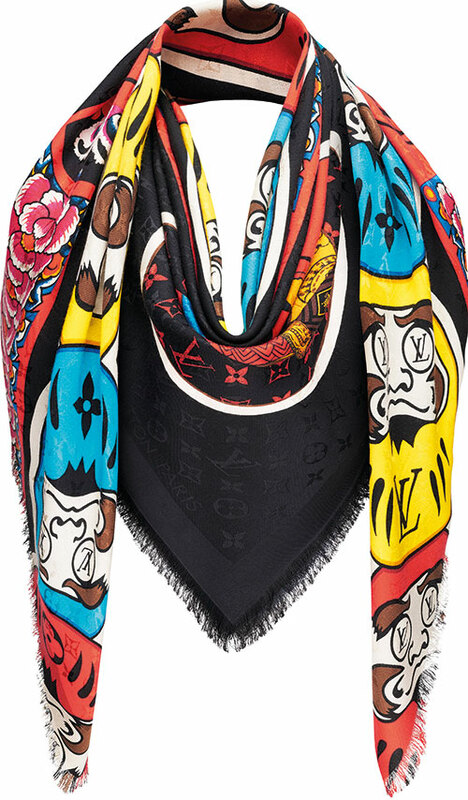 This silk and wool mix shawl is the perfect lift-me-up to enhance any basic outfit and the symphony of colours pays true tribute to the panorama of kabuki stickers. Screen-printed on to monogram jacquard, the effect showcases a seamless blend of subtle and intense. A multipurpose bandeau; isn’t that an add-on every girl needs! Play with its dimensions to wrap around the head, neck, wrist or tie it to a bag and allow different kabuki stickers to be highlighted each time around. You’re going to be spoilt for choice with this lot of goodies! 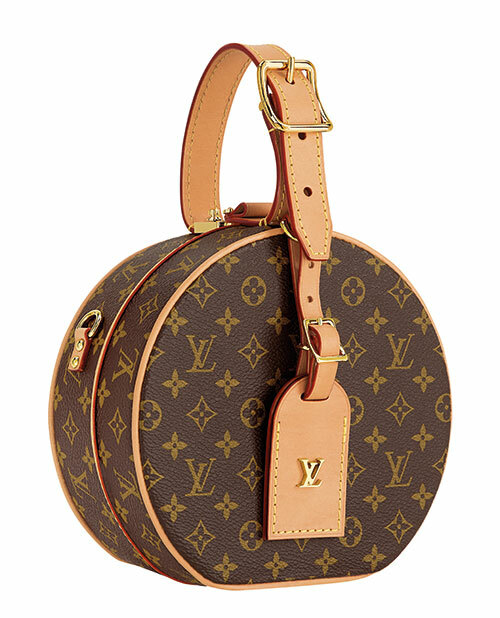 The Boite Chapeau hatbox has long been a favourite with Vuitton customers and this Petite handbag version will be impossible to resist. Small but user-friendly (the brand has smartly designed it to easily accommodate an iPhone 7), this versatile piece is available in classic monogram canvas as well as a reverse monogram with black calfskin. The Bento Box is an architectural marvel with its sharp lines and immediate recall value. This day-to-evening Epi leather bag is sure to become a cult favourite, especially given its two-way functionality with a top handle as well as a long cross-body strap. If there’s one bag to add to your list, it’s this Alma PM Samourai. Drawing inspiration from samurai embroidery, the hardy black Epi leather has been emblazoned with handmade tricolour braids to represent a masterpiece of graphic contrast. 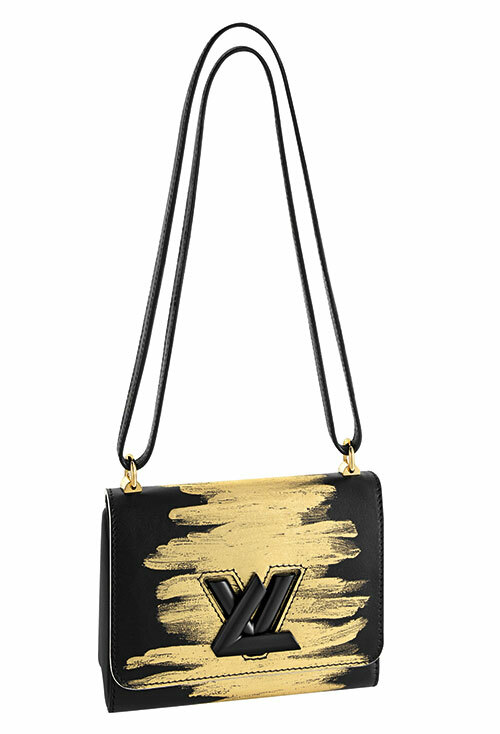 There’s no better evening accessory than this Twist Golden Light; a play of matt gold and charcoal black. Reminiscent of a simmering sunset, the embossing manages to convey a striking similarity to that of an artist’s brushstroke. 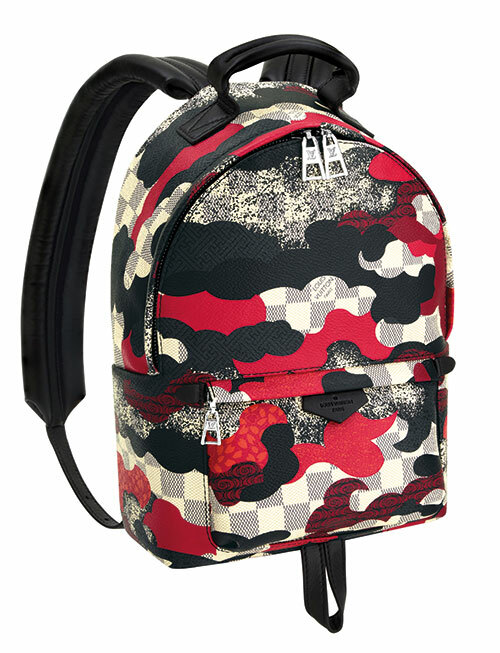 Backpacks are the new cool kids on the bag block and this Palm Springs Patchwork Waves is as singular as it can get. It displays playfulness with some sassy edge, making it a bold and colourful addition to any individualist’s wardrobe.